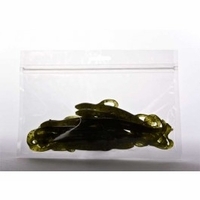 These are the same bags we use for our soft plastics. Made in the USA, and 2mil thickness. Will store soft plastics for years.